Six century breaks in the first West of England Billiards & Snooker Gold Waistcoat event of the season suggest we are on course to eclipse last years record of eleven centuries in five events. The highest break, 123 was made in the very first frame of the day by Kris Vincent from Plymouth. He was soon to follow this with another fine 101. Vincent was one of eight England players that were on parade so it came as no surprise to the organisers when a barrage of breaks unsued. Other century makers where Mike King (Exeter) 107 & 100, Andy Radford (Exeter) 100 and Dale Branton (Plymouth) 106. Branton, not yet 16 years old continues to improve showing great determination to succeed at his chosen career. Another young snooker prodigy, Tom Vanstone (Plymouth), just 15 years old, also showed determination and courage to mix it with such a strong field of players. This approach must surely bode well for their future development. As well as the six centuries a further 40 breaks over 50 where made on the day. The final was a fitting match given the high standard of play produced throughout the day. Sam Baird (Halberton) defeated Andy Symons-Rowe 3(85,74) – 2(70,54) in what was a high quality exchange of potting and break building. I the semi finals Symons-Rowe defeated Kris Vincent 3(86)-1(49) and Baird beat Matt Williams (Plymouth) 3(68,48)-0. Williams seemed played-out after dishing out a 3-1 drumming to Paul Veitch (Plymouth) which included a string of breaks (93,82,47 & 40) from Williams. Other quarter final results saw Baird defeat the current champion Mike King (Exeter) 3(50)-1, Symons-Rowe’s potting proved to good for the tough match playing skills of Wayne Branton (Plymouth) as he lost 3-1. The closest match of the round was between two of Plymouth’s finest, Vincent and Grant Cole, Vincent ran out the winner 3(94,77)-2(61). Baird won Group A with ease with breaks of 82,81,78,69,67,55,53 & 46. Break building of this calibre is top drawer and has become his trade mark. Runner-up and second qualifier in the group was Cole who was the only player to take Baird to a deciding frame. Top billiard player Steve Brookshaw finished a credible third place just 1 point in front of his prodigy Dale Branton. Group B was a real close affair with three players finishing level at the top, after frame count-back Wayne Branton qualified in top spot and Symons-Rowe stole second place from Andy Radford (Exeter). Symons-Rowe posted breaks of 75,69cl & 48 and Radford 100,75 & 66. King dominated group C with breaks of 107,100 & 59. Matt Williams took the second qualifying spot aided with a 64 break. Other breaks came from Neil Chiswell (Plymouth) 53 and Darran Lock (Seaton) 54 & 50. Plenty of breaks and another close finish in group D. Vincent won the group with breaks of 123,101,76,62 & 59. With Greg Batten (Tiverton) uncharacteristically losing his first match to Veitch 3-0 the group was wide open. Batten did well to rally and give himself a chance with breaks of 59,51 & 50 but it was to no avail as he saw the second qualifying spot go to Veitch who stole it from an in-form Adrian Bond (Tiverton) with a 3-2 win. Bond had breaks of 58,57,54 & 46 and Veitch one of 76. Kris Vincent from Plymouth recorded the highest break of the day, a fine 117, on his way to winning the second event in the WEBSF Gold Waistcoat Tour. In the final Vincent, aided with an 85 break beat another in-form century maker Greg Batten from Tiverton 3-2 in a closely fought contest. Batten recorded a 48 and a 116 in the final missing a black to take the highest break prize. In the final frame Batten was in prime position on the final blue when he missed handing Vincent a life-line to take pink and black to win. The semi finals both finished 3-1. Vincent beating reigning champion Mike King (Exeter) with a break of 66 and Batten beating Matt Williams (Plymouth). Batten recorded 48 & 47 breaks. In the Quarter finals youth player Dale Branton from Plymouth played very well to qualify but found King in dominant form after a close first frame. King won 3-0 with breaks of 77 & 64. In the second match of the quarters Vincent was in great break building form beating Sam Baird (Halberton) 3-1 with breaks of 117, 56 & 53. Plymouth is fast becoming a hot bed for talented players and two, Matt Williams and Grant Cole, fought out a tight match, England under 21 International Williams came out on top 3-2 despite a 52 break from Cole. In the final match of the round Batten edged past fellow Tivertonian Darren Bond 3-2, Batten recorded breaks of 85 & 45. The group stages was full of the quality snooker that we have come to expect from some of the regions best players. In group A Williams was knocked aback by fast improving Dale Branton. Williams started strongly with breaks of 80 & 51 to take a 2-1 lead. However Branton finished the strongest to win 3-2 aided with breaks of 61 & 53. Former Champions Andy Radford (Exeter) and Wayne Branton (Plymouth) should have produced a close contest, both being good match players. However, Radford is struggling to find time to practice and it showed as Branton won comfortably 3(56)-0. Radford was also to find Williams to hot in his next match losing 0-3. Williams in frame two looked O’Sullivan like amongst the balls potting 10 reds and blacks in rapid succession before he lost position. After some tremendous recovery pots to give him a real chance of a possible maximum 147, he miscued to end the break on 96. Radford got his game together to beat Dale Branton 3-1 after losing the first frame 0-60. Williams just beat Wayne Branton 3(48)-2(55) to qualify himself for the knock-out stages and set up a head to head between father and son to determine the second qualifier. Son Dale narrowly won the contest 3-2. Darran Lock (Seaton) against Baird started group B and Lock found Baird to hot losing 0-3. Silver Waistcoat player Mitchel Grinsted (Plymouth) trying his hand in the Gold found the Tiverton duo of Batten and Baird too strong as they both beat him 3-0 with Batten making breaks of 51 & 41 and Baird a break of 72. Grinsted did find some form in his final match against Lock, making breaks of 46 & 41. Lock made a 52 in frame two but still lost to Grinsted 3-0. Lock fared better in his last match, taking Batten all the way before losing 3-2. Batten making 52 & 41 breaks. Group B qualifiers Batten and Baird fought out a ding-dong match that Baird won 3(74,51)-2(53). King was clear favourite to win group C and he duly did dropping just one frame and producing a barrage of breaks in the 40’s & 50’s. Bond finished second in the group edging out top Billiards player Steve Brookshaw from Plymouth. Paul Veitch struggled to find form after reaching the qualifying stages at the last event. Group D comprised some of the best of Plymouth’s youth in Vincent, Cole, Chris Batey & Tom Casey. The more experienced Cole & Vincent qualified to the knock-out stages. Batey put up some resistance making a fine 72 to level at 1-1 against Vincent only for Vincent to reply with a 71 to take fourth frame to win 3-1. Casey couldn’t match up to Cole & Vincent, losing both matches 3-0 but he came good against Batey to win 3-2. Cole’s 3-1 victory over the event winner Vincent meant that he took maximum points by topping the group. Four England Internationals reached the semi final of the latest West of England Billiards & Snooker Foundation Gold Waistcoat tournament. Mike King (Exeter) came out on top preventing last months winner Kris Vincent (Plymouth) from recording back to back wins. The final could have gone either way in a close fought battle of talent but it was King that took Gold. To win through the knock-out stages King narrowly beat Steve Brookshaw 3-2 in the quarters and easily beat longstanding team mate and adversary, Andy Radford (Exeter) 3-0 with the aid of a fine 104 break. It is testament to Radford’s technique, matchplay and ability and that he got this far considering he finds such little time to practice between tournaments. In the other semi final Vincent beat Greg Batten (Tiverton) 3-1, Batten obviously finding it difficult to recover after a titanic struggle to beat Sam Baird 3-2 in the quarters. In the match Batten had a 73 and 47 break and Baird a 47. The remaining quarter finals saw Vincent beat Adrian Bond (Tiverton) 3-0 and Radford beat Grant Cole (Plymouth) 3(63)-2. Cole played consistently well to win Group A winning all his matches with a string of frame clinching breaks 60,54,49,47,44 & 44. Batten just qualified in second place with breaks of 88,85,65,63,55 & 48 losing just the one match to Cole 3-0. Group B was peppered with breaks, group winner Baird setting the pace dropping just one frame and posting breaks of 91,91,83,70,52,60,59,54 & 50. King claimed second place with breaks of 94,87,70 & 46 Just failing to qualify was Dale Branton (Plymouth) who is starting to give the more season players something to think about. Branton made clearance breaks of 84 & 50 two 41’s and the best break of the day a consummate 109. Wayne Branton senior struggled all day with back problems but still managed breaks of 80,65 & 49. Radford had little resistance in winning an uneventful group C. Adrian Bond (Tiverton) qualified in second place with a break of 73 . Steve Brookshaw (Plymouth) won through Group D win breaks of 82,72,55 & 48 edging Vincent into second spot. Vincent made breaks of 88,66,55,55 & 47. Tournament Director Roger Cole, said “Only two 100 breaks this time but the standard of matchplay has once again been excellent. The Gold Waistcoat is proving invaluable to our local players as it is the only tournament in the region that provides quality non handicap competition” For more information about this and other WEBSF tournaments visit the website http://www.websfsnooker.com. With three different players wining the first three events, up stepped Greg Batten with a record equalling break to make his play for gold by beating Matt Williams to win the penultimate event of this seasons Gold Waistcoat tournament. The first frame was a scrappy affair with Williams steeling to go one frame up. He began the first frame with a 55 break before Batten replied with a 66 to level at 1-1. In the final frame Batten made a 50 break which Williams looked like matching before missing a vital black leaving Batten to clear and win 2-1. In the semi final Batten produced a touch of class in beating fellow Tivetonian Darren Bond 2-0. In the first frame he made a frame winning 63 break which preceded a magnificent 134 total clearance in the second. This break equals the highest ever of the tournament made by ranking points leader Kris Vincent. In the other semi final Williams beat Vincent 2-1. The quarter finals brought to the fore yet more exciting snooker. Batten beat reigning champion Mike King 2-1 in a closely fought battle. Young gun Dale Branton battled hard to win through to qualify before losing 2(40)-0 to Darren Bond. The prolific break building of Sam Baird was just short of his consummate best narrowly losing 2(48)-1(75) to Vincent. Grant Cole played solid snooker all day before meeting Williams at his most potent. After a fluked red he amassed a superb break of 127 missing the final black to join Batten & Vincent as joint ‘Breakmasters’. 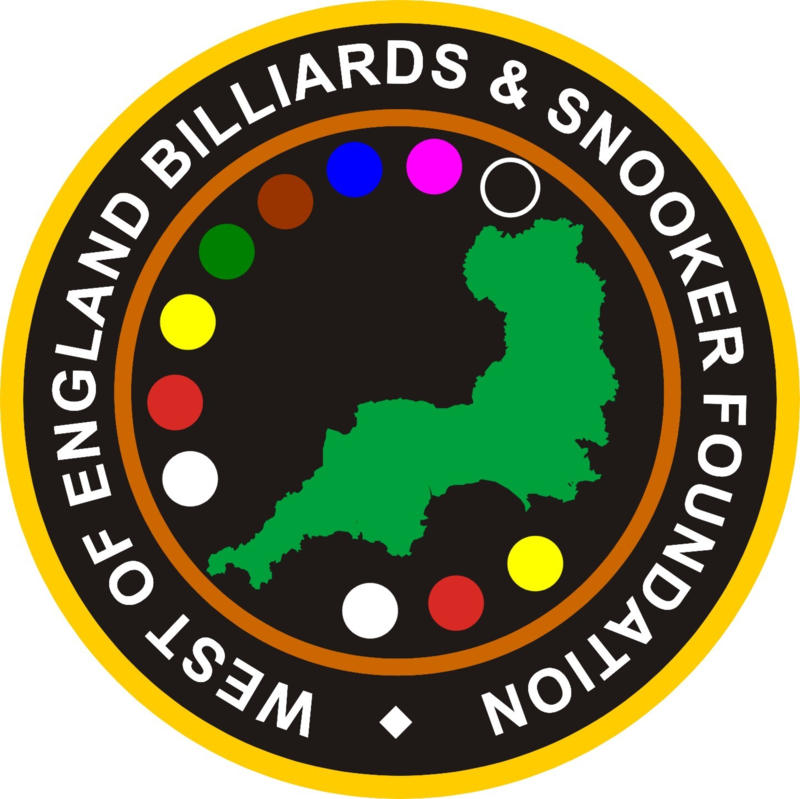 The West of England Billiards & Snooker Foundation Gold Waistcoat Tour reached an exciting climax with any one of five players in a position to lift the overall title. Plymouth star Kris Vincent led the ranking table at the start of the tournament with excellent results in the previous four events. In close contention, and ready to capitalise on the slightest mistake were Greg Batten (Tiverton), and Sam Baird (Halberton), Matt Williams (Plymouth). Unfortunately last years champion Mike King (Exeter) had to fulfil a prior engagement and was not able to defend his title. However, it was the Silver Waistcoat Champion Grant Cole that showed his potential by coming through the fiercely competitive field to win his first Gold Waistcoat event, 2-0 against Batten in the final. The day began with the group stages to find eight players to fight it out in the knockout stages. In group A Batten dominated, dropping just one frame and making a string of frame winning breaks (92,85,70,56,48,48 & 45) wining all his matches to take top spot and valuable ranking points. Second spot went to Baird who has had some excellent results on the national scene of late. Baird lost just the one match against Batten and by his standards holding back with breaks of 78,56,55,48,44,43. Third place went to top West Country Billiards Player Steve Brookshaw (Plymouth) who recently reached the last 16 in the Amateur English Billiards Championship before losing to the eventual winner. Brookshaw had breaks of 50,48 and a superb 102 clearance. Fourth place went to the wire with the very experienced Roger Cole beating the equally experienced Derek Walker, both from Plymouth, this result denied Neil Chiswell a place in the knock-out stages by the smallest of margins. In Group B Vincent equalled Batten, in taking top spot and only dropping one frame winning all his matches with breaks of 58,47 & 41. Father & Son Wayne and Dale Branton provided the spectacle of the group both recording 100+ breaks. Dale made breaks of 75,40 and a superb 108 clearance that was only out done on the day by dad’s glorious 126 clearance, which deservedly took the break prize. Despite this achievement and further breaks of 40 & 76 clearance Wayne narrowly missed out on a qualifying place for the second time in a row. Runner-up in the group was Williams with breaks of 83 & 51, Third and fourth place went to Dale Branton and Cole (76,55,52,49 & 41) respectively. t Branton Jnr. which he duly did 2-0 to put him into the semis against Baird. With Cole Jnr. beating Williams 2-0 aided by a 91 break and Cole Snr. beating Brookshaw 2(68)-1 it was a shoot-out between the former Tiverton team mates to see who would steal from the unlucky Vincent. Two contrasting styles, Baird, imposing around the table with an ability to fluently build breaks at speed. Batten equally prolific in the break building department but more measured in his approach, both players oozing class. Batten proved the better on this occasion making breaks of 73 & 66 to win 2-1 and guarantee him the overall championship. The final proved a match of missed chances in the closing stages of both frames with the younger up-and-coming Cole Jnr. finally taking the initiative to win the final event.